This is a bit of a follow-up to the Apprising Ministries post Trouble In Emerging Church Paradise?, which involves what Tony Jones, the heretical “theologian in residence” at the EC church of his equally heretical quasi-universalist pastor Doug Pagitt, says in Tony Jones: Stop Performing (Legal) Marriages! You’ll recall e.g. in Tony Jones And Courtney Perry Et Al I told you that Jones and Pagitt, key leaders in the egregiously ecumenical Emerging Church aka Emergent Church that morphed into Emergence Christianity (EC)—which is now a cult of a postliberalism firmly within mainstream evangelicalism—were the masterminds behind the recent EC apostasia-palooza Christianity 21. I will not be using the emerging church vocabulary and this blog will be more geared to covering the wider mission, church and social enterprise scene as well as resourcing people – like you – to leave a lasting impact on their world. 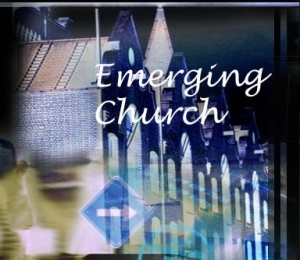 I wont be carrying the emerging church conversation or daily tracking its ups and downs, even though many good things will continue to happen under that label. Right. As far I can tell by monitoring the blogs of Andrew and Tony the backstory involves what Andrew talks about in his earlier post A Response to Tony Jones as well as the revealing piece Well, 2010 is Unorthodox So Far… yesterday from respected thinker and blogger in the growing emerging missional church movement Brother Maynard. Hours later, self preservation must have taken over and a webmaster was given orders to clean up a certain website and delete the bio page of a certain board member of a certain movement. My experience of this up close and personal movement is that it has in this corner become an extremely destructive cult-like environment. My children live with me full time and have been through pure hell. The spin of why this happened is diabolical and I can only say MY half of the court ordered $4000 psychological evaluation, clinical interview, and results of the MMPI testing do NOT have a serious mental illness diagnosis. needed to fly an Emergent leader to convince me to check into a hospital immediately, not one of them was concerned with the facts…not one. Of course anyone familiar with my labors in the Lord knows I’m certainly no fan of this Emerging/ent/ence de-formation of the Christian faith. But regardless of all of that, at a time such as this, we should still be praying for those who are being—and apparently have already been—hurt so deeply.